"Serving cuisine the authentic way". Get Your Venue takes care of every teeny tiny bits of wedding arrangements, food being the primary. Serving the most exotic cuisine calls for an authentic presentation and Get Your Venue does it just right. At Get Your Venue, we thrive to bring excellence in execution of all the events’ planning, be it a wedding, a birthday party or any other event. 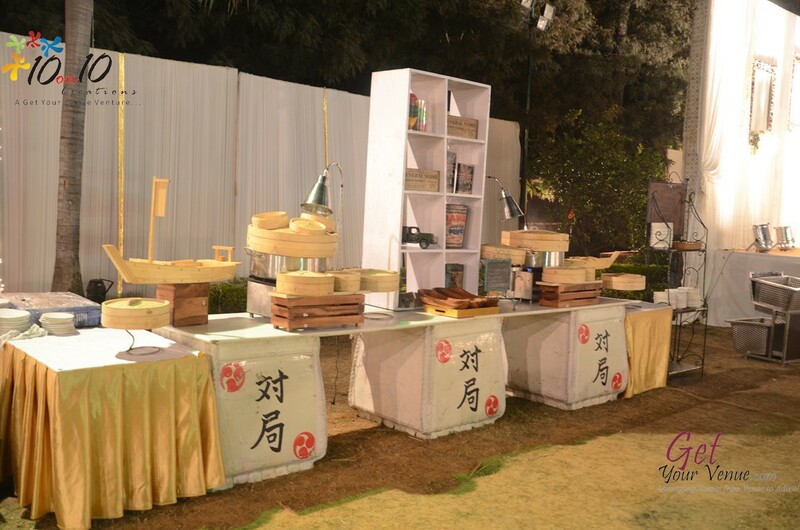 Exquisite food presentation is an essential element in an events’ décor. And, keeping this in mind, Get Your Venue has devised a number of beautiful and elegant food décor themes. We make sure that our client’s guests dine in vogue. Not just the cuisine’s presentation, we also take care to serve you with the most delicious and exotic cuisines from around the world. Bon Appetit Fellas.